A Macy's department store in Hagerstown, Maryland will close and a clearance sale is set to start Monday. 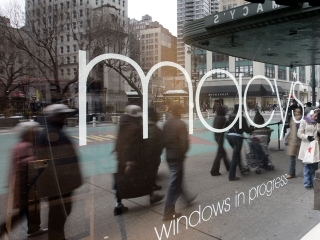 Macy's announced Wednesday the company will close 40 stores across the country after disappointing holiday sales. The store in Valley Mall, which employs 59 people, will close in "early 2016," the company announced. The Cincinnati-based chain said overall sales fell 5.2 percent in November and December. Warm weather and lower spending by international tourists hurt sales. “In light of our disappointing 2015 sales and earnings performance, we are making adjustments to become more efficient and productive in our operations," Macy's, Inc. CEO Terry J. Lundgren said in a statement. Final clearance sales at the Hagerstown store are set to begin Monday and run for eight to 12 weeks, the company said. Macy's plans to open about 50 Macy's Backstage discount stores in the next two years, mostly within existing Macy's stores. About 40 freestanding Bluemercury beauty stores also are planned, the company said.